Miniature of "Dungeons & Dragons Control Panel Overlay" custom.By Mikonos. 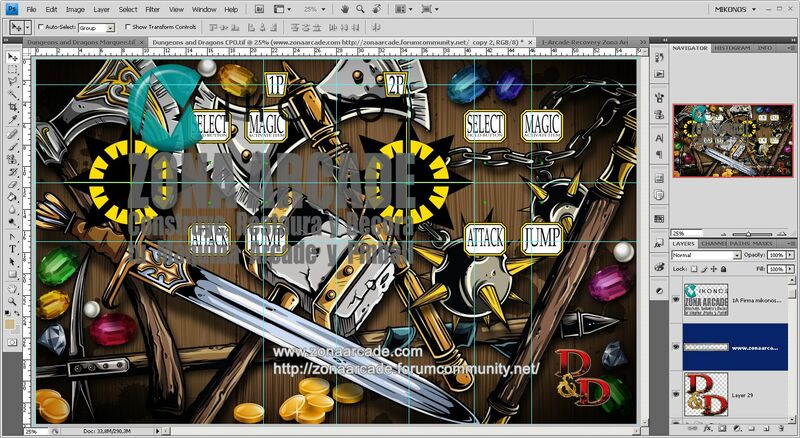 Details in "Dungeons & Dragons Control Panel Overlay" custom. By Mikonos. "The King of Fighters - Iori & Kyo Control Panel Overay" designed by Mikonos. "Star Wars Saga Bezel" (set 10 - Ver. 2) diseñada según instrucciones. By Mikonos. Detalles "Star Wars Saga Bezel" (set 10 - Ver. 2) diseñada según instrucciones. By Mikonos. Right Side Art "Sonic & Tails" for bartop. By Mikonos. Left Side Art "Sonic & Tails" for bartop. By Mikonos. "Star Wars Saga Control Panel Overlay" (set 12). Customization by Mikonos. Details in "Star Wars Saga CPO" (set 12). Customization by Mikonos. "Hyperspin High Quality Logo" (300 dpi) for arcade Artworks. By Mikonos (screenshot 1). 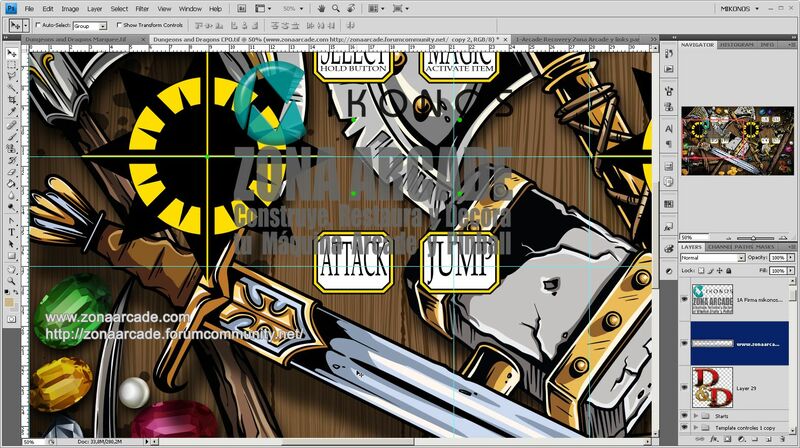 Details in "Hyperspin High Definition Logo" (300 dpi) for arcade Artworks. By Mikonos (screenshot 2). 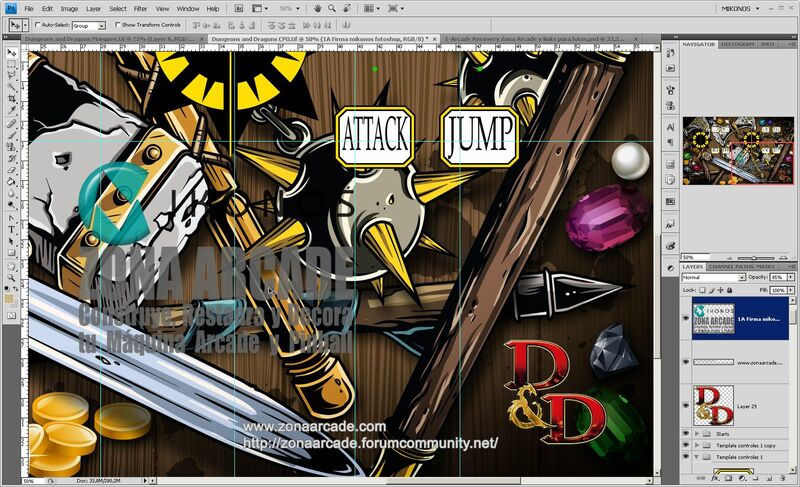 Details in "Hyperspin High Definition Logo" (300 dpi) for arcade Artworks. By Mikonos (screenshot 3). "Star Wars Atari Control Panel Overlay". Adaptation by Mikonos. Details in "Star Wars Atari Control Panel Overlay". Adaptation by Mikonos. "Star Wars Atari Low Control Panel Overlay". Adaptation by Mikonos. Details in "Star Wars Atari Low Control Panel Overlay". Adaptation by Mikonos. "Dragon Ball Control Panel Ovelay" for bartop. By Mikonos. Detais in "Dragon Ball Control Panel Ovelay" for bartop. By Mikonos. "Star Wars Atari Control Panel Overlay" printed in vinyl with gloss protective lamination (photo 1). "Star Wars Atari CPO" printed in vinyl with gloss protective lamination (photo 2). "Star Wars Atari Low Control Panel Overlay" printed in vinyl with gloss protective lamination (photo 1). "Star Wars Atari Low Control Panel Overlay" printed in vinyl with gloss protective lamination (photo 2). "Dragon Ball Control Panel Overlay" para bartop impreso en vinilo laminado brillo (foto 1). Your work is very beautiful and very well done. I have a question about the outline you use in the Hyperspin logo on Photoshop. If I use "Stroke" or "Normal Outline", I can not leave it straight, like you do in your example. Look, they get rounded and I wanted straight, just like yours. What is the correct procedure? Is there any extra procedure to be done? You can not do Outline Sharp Strokes with photoshop, unless than you draw all corners. This is a good option. Thank you for reply Mikonos, I will try Illustrator now. "The Old House Marquee" (V. 2) designed by Mikonos. Details "The Old House Marquee" (V. 2) designed by Mikonos. Artwork "MAME" bezel following instructions. By Mikonos. Details in "MAME" bezel following instructions. By Mikonos. "The Old House Arcade Marquee" printed in backlite HQ (photo 1). "The Old House Arcade Marquee" artwork printed in backlite HQ (photo 2). "Megaman Vs Protoman Marquee". By Mikonos. Details in "Megaman Vs Protoman Marquee". By Mikonos.